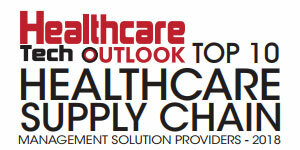 The healthcare landscape is undergoing significant transformation. Today’s patients and clinicians are savvy consumers, demanding access to trusted product information to make informed decisions about health care. In parallel, government organizations are supporting patient safety through regulatory mandates around product traceability. This is why most regulatory bodies across the globe are introducing medical device regulations throughout the global supply chain. Along the same lines, FDA also introduced a Unique Device Identification (UDI) system in 2013 for medical devices requiring manufacturers to label all medical devices with a unique device identifier and corresponding product information to FDA’s Global UDI Database (GUDID). Amidst this transformation, a leading global medical device manufacturer, was looking for an efficient and quality product information distribution methodology via a uniform deployment to ensure that their organization delivered high-quality product information to their trading partners and the FDA. Requiring a global solution that met local considerations, such as regulatory and commercial requirements, a major manufacturer zeroed in on 1WorldSync for data pool services, a connection to the FDA, and for professional services to plan, design, and execute on their strategy. With 1WorldSync, this manufacturer was able to successfully synchronize medical device product information with the FDA on 450 products in compliance with the Class III deadline by 2014. Further, this supplier was all set to prepare additional 10,000 medical devices to welcome the upcoming Class II and Class I compliance deadlines. You can view a sampling of customer success stories on the 1WS website. Currently, the same kind of regulatory obligation is being introduced in EU and other parts of the world. Healthcare device manufacturers worldwide are facing this crunch of complying with the regulations in a timely manner. As the industry leader in Product Information Management, 1WorldSync offers data pool solutions and professional services that enable the flow of information between healthcare product manufacturers and recipients. The recipients can be healthcare manufacturers, providers, distributors, group purchasing organizations (GPOs) as well as regulatory bodies. “We manage the standard input of data from manufacturers and then output it securely and consistently to the respective entities,” explains Lionel Tussau, Director, Business Development Europe, 1WorldSync. In the process, the company ensures the cleanliness of data by having numerous validations in place to guarantee that accurate data is submitted to suppliers. The company improves supply chain efficiency in healthcare through the implementation of GS1 Standards and the adoption of the Global Data Synchronization Network (GDSN). “We provide access to 27,000 trading partners for distribution via GS1 GDSN, or any trading partner not on the GDSN via an any-to-any link,” says Tussau. On the other hand, 1WorldSync empowers IDN’s, government Providers like the NHS in the UK and GPOs to source standardized product information and accelerate product set up time. At the same time, they can ensure compliant and comprehensive product information. Talking about distributors, Tussau says that they can enhance data accuracy throughout purchasing, logistics and supply chain operations while improving service levels. Additionally, to increase supply chain efficiencies and eliminate costly errors, 1WorldSync’s team provides guidance around industry best practices. The team offers implementation services to clients to implement data synchronization and advisory support as they implement Heatlhcare focused Product Data Management solutions through the voluntary adoption and usage of GS1 Standards. The company also offers individual training and workshops to enable the implementation of requirements from trading partners, communities and legal regulations. Moving ahead, 1WorldSync is continually working toward making its platform more easy to use and efficient to help manufacturers adhere to the increasing regulatory requirements. “I believe that there will be an increased demand for quality product information from end users including doctors, nurses, and patients. Because we have strong roots in the FMCG sector, we are well versed in the B2C field and know how to empower manufacturers in this area,” concludes Tussau.